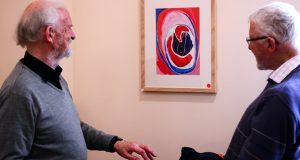 In this interview for 3R Productions with Pat Coyle, Michael O’Sullivan looks back over his days as a priest in Pinochet’s Chile and expresses his delight at the recent election of Michelle Bachelet to the Chilean presidency. The recent election of Michelle Bachelet as Chile’s first woman President was a landmark day in that country’s turbulent history. Ms Bachelet, a paediatrician and single parent was imprisoned and tortured, along with her mother under the dictatorship of Pinochet. Her father, too. was arrested, tortured and murdered. Pinochet is now under house-arrest and Chile has democratic government for over seventeen years, but for Chileans and those who struggled with them during the dark days of his regime the election of a woman socialist president has added sweetness. Fr Michael O’Sullivan is a Jesuit who worked with the poor of Northern Chile during Pinochet’s reign. He experienced many death threats and survived an assassination attempt. He now lectures in Milltown Institute of Philosophy and Theology where Pat Coyle spoke to him. She first asked him for his reaction to the election of Michelle Bachelet. MO’S: I was delighted with the election of Michelle Bachelet as President. It reminded me of the time when I was working in Chile with a group called Modemu ,which was the movement for the Democratic Union of Women, which came into existence at that time, and this was a movement aimed at trying to bring democracy to Chile because Chile was ruled at that time by a military dictatorship. There was a great desire to bring democracy to Chile and women were very involved in that struggle as there was also a concern that in the new democratic Chile the situation of women too would improve, looking at it from a gender perspective. And now Chile these years later has democracy and it has Michelle Bachelet as President. Michelle Bachelet is unique. She is the first woman to be elected on her own merits and she seems to be a very fine person. PC: Now looking back because you were reminded of those times, what was it like for you working as a priest in Chile? MO’S: Yes, gosh, to think back at those times on one hand it was very difficult because there was military rule and everybody was living in fear of their lives literally, and at the same time when I look back I have great love in my mind as well because of the bonds that were with the people because when you’re living and working with people whose lives like your own are on the line every day it does bond you together in a way that is absolutely unique and that in a way survives time and that has been the case in my own life and I’ve drawn from the well of that experience in Chile in all I’ve done since. PC: Tell me about the kind of things you experienced because you were under death threat. MO’S: I suffered a lot of threats, surveillance, intimidation, and the chapels I worked in were petrol bombed. The chair where I used to sit was deliberately targeted and hacked up with knives. There was literature strewn around the streets telling me to get out of Chile and stop protecting communists and terrorists to stop lying to the poor to go and lie to the people of another country and these pamphlets around the streets were signed by a group called “the Commando for the Defence for the Country” which came into being around that time, and there were images on these pamphlets as well, very difficult images of people looking like monsters, and holding hatchets and blood dripping from them and the message to me was like: this is coming down into you from us and your days are numbered kind of thing and then I experienced what appeared to be perhaps an assassination attempt when a vehicle that had been waiting in the shadows one night as I was coming home came out and came at me at great speed but I was on the alert because I had to be at that time in Chile under those conditions and I managed to get out of the way on time and it just raced around the corner and went away but two other people across the street got out of a vehicle it appeared that they had tipped of the other waiting vehicle about my presence. PC: These would be people in the community? MO’S: No the people across the road were other people part of what we might call that plot but there were a group of four people who formed themselves to wait in the evening when I would be coming home after meetings, to make sure I got in safely because people did believe that I was under threat to that extent and they very movingly formed themselves into a group to make sure I got home safely and to let the regime know that there would be witnesses if anything was tried on me. PC: Which was very brave on their part too because presumably they too could have been victims of this kind of terror by the army and the armed forces. MO’S: It was very brave of them and it is hard to be working with people who are poor and under difficult conditions and you partake in that hardship to a certain extent by doing that with them at the same time my abiding memory was the fantastic humanity too that this struggle inspired in people and the way it brought us together and made us feel about each other and the way we cared for each other and we l knew we were all there for each other and that still remains. MO’S: Well there is biological fear I suppose but I have to say that my values and religious experience were so strong in me that I was ready to die if necessary, and when I went out to Chile I really believed that this could happen, but I went there still with that understanding and readiness because I did have deep religious experience, and a great conviction from it about the value of what I was doing in going to Chile, and being with the poor in this way. PC: What was that experience? MO’S: The deepest experience perhaps I’ve had from the point of view of a single religious experience was one I had in my early twenties while I was still at the University College Dublin studying Social Science and I was having a lot of difficulties at that time about whether or not I was going to continue as a Jesuit and this led me one night to go down to the oratory in the building where I was living when everyone else in the building was sleeping and that and there I was alone at night praying, really, about my struggle and I was gifted from nowhere it just seemed to come from nowhere I was gifted with this experience of Jesus being in Gethsemane going through his struggle there and setting up a parallel with myself with my own struggle being there in that oratory that night and then being revealed to me the great love that was in Jesus letting me know that this was the key to his life and that in a way I was being offered a share of that love in my own life and in my own struggle and that I was being invited to continue in my way of life as a Jesuit knowing now that that love will be there with me and that God was going to be there with me and even though it could and would get difficult I would never be alone I would always be deeply accompanied by the power and love of God and that this was worth my while staying on as a Jesuit to live with. PC: And you have brought that experience with you to Chile and that got you through really dark and frightening days, Michelle Bachelet herself was tortured under Pinochet, her mother was tortured, her father was tortured and killed under that Pinochet regime, she is an agnostic but I notice you used the word love and so did she. MO’S: Yes, I’m struck by that, that she has spoken there very shortly after her election about how she was a victim of hatred I don’t know whether she used the word victim but she said certainly she suffered the force of hatred in her life that it came into her life and had such impact on it but that she has tried to turn that hatred into understanding, into tolerance and as she said into love and that is very moving and to think that she has been able to rise above what she has suffered and to try to bring love to let that be the distinguishing characteristic of how she plans to carry out her presidency, to me she says she is an agnostic but someone who can say that and live that as she does and will continue to do it seems to me that that is a very powerful sign of the presence of God in our midst. If you sin, can you preach?